It’s starting to get chillier by the day here, so I jumped at the chance to throw on my new trench coat. It’s a Banana Republic number, and whilst it wasn’t super cheap, it’s the closest I’ll ever get to a little number from Burbs AND it’s available in the petite range. It’s so hard to find decent coats that fit my small frame but I have a feeling that I may have been converted going forwards. I’ve also got a serious floppy hat and striped jumper infatuation going on right now. I’ve always known I had a bit of a thing for the hat/stipe combo, but recently I’ve found myself stocking up on variants of the two in hopes I have enough of a collection for one each day of the week. If nothing else if will stop my Zara crop that I wear on a semi-daily basis from falling apart. Such a classic look! 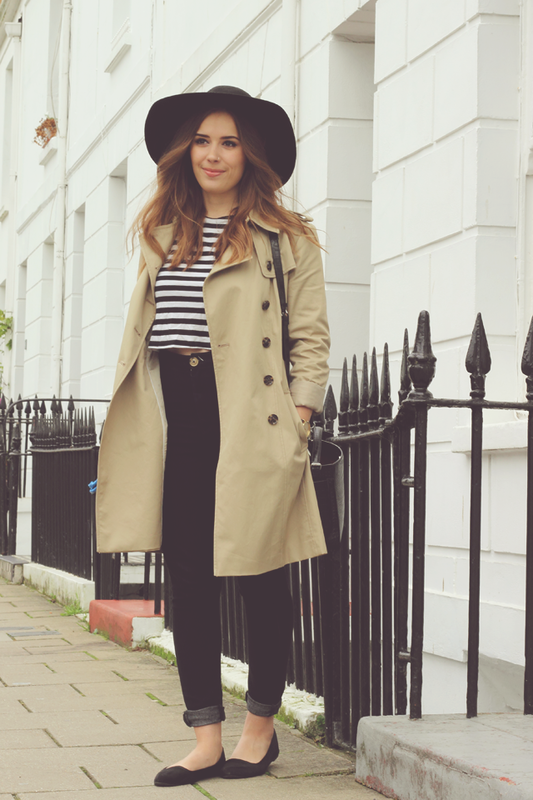 Love everything about this outfit and the trench coat was well worth splashing the cash for! Such a simple and feminine outfit, you look fab as always! Your outfit is beautiful! I love your coat! Such a fantastic look! Your coat is stunning, and absolutely perfect for winter as it probably goes with everything! This is a perfect outfit! So simple yet stylish. 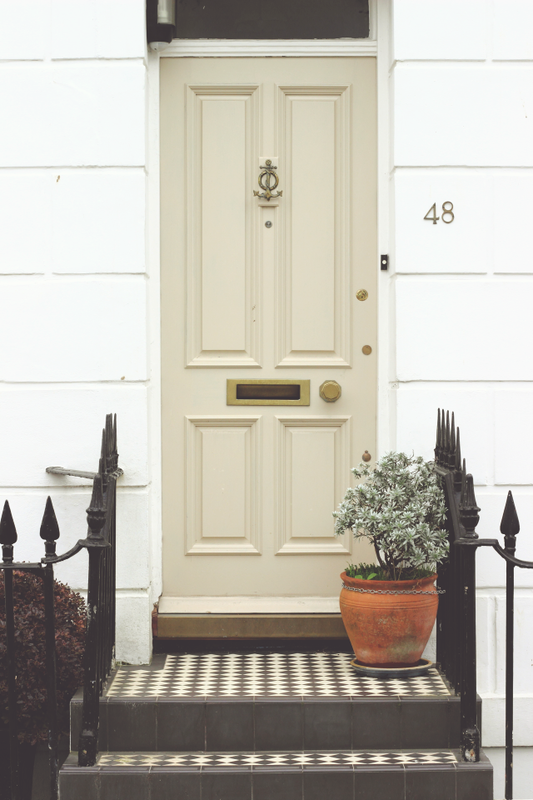 And that door is just so cute. I have that same coat. Totally love at first sight! Fabulous pictures as always! The hat really suits you! Love the coat! This length is perfect for you! 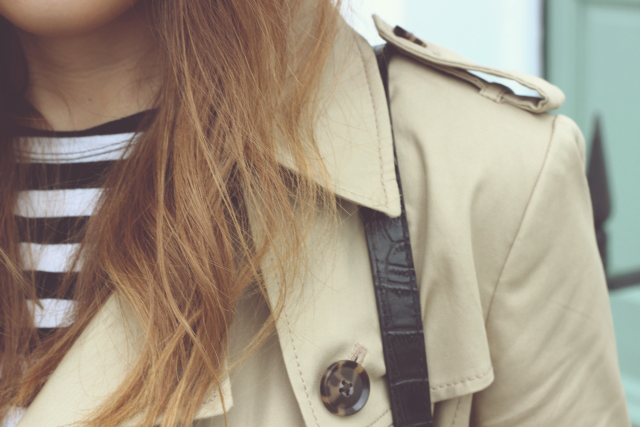 I love how the classic trench coat looks with the more modern/edgy outfit underneath! Kensington looks so pretty! And I absolutely love your outfit. i love where you shot these photos!! Gorgeous outfit, I love the trench coat! I am so on the same page as you! I am all about hats right now. Love the look you put together and your adorable backdrops! You look beautiful, Suzie! The outfit reminds me of the Classic Burberry look. Love the watch also, saw it in John Lewis the other day and was debating in whether I should get it. It looks great on, though! I love your style, these pictures are gorgeous! That trench coat is gorgeous and to die for. I love it! I love this outfit. 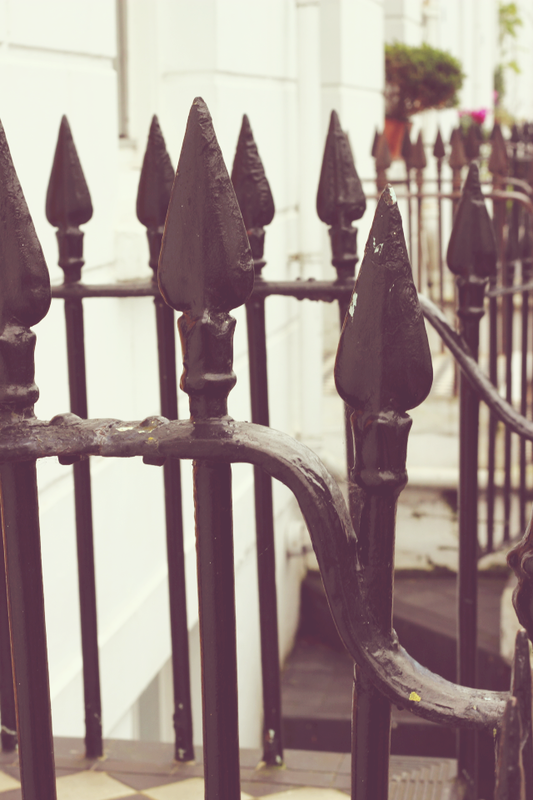 And you the title suggest, very South Kensington/Chelsea, I like it! I love this 🙂 especially the trench and zara bag! They're on my wish list. You're so pretty Suzie! Lovely outfit! That hat is amazing! Great outfit. Casual and classy at the same time. Especially the watch- its fab. Adorable outfit ! The bag is sooo cute ! Lovely outfit! Love the trench! Such a gorgeous outfit! I love trenches and striped tops. Love this outfit! You are gorgeous! 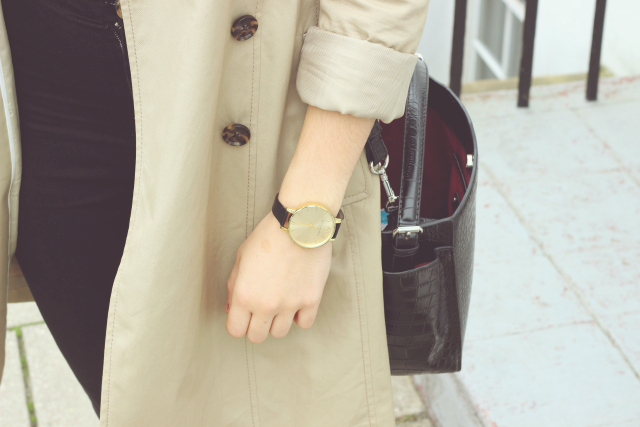 i love the trench coat, and I am so envious of that Daniel Wellington watch!!! good You will obtain a confirmation dialog, asking if you install Exodus on Kodi or actually some multiplayer games “native” to Kodi. nice. great using BlueStacks for Windows 10. I know that every one of us loves it, bluestacks download for android devices. There are many applications and nice.